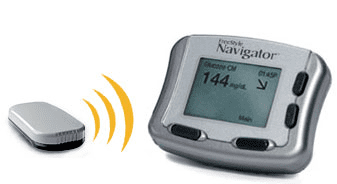 Freestyle Navigator CGM is a continuous glucose monitoring system used by diabetics who monitor their blood sugars. This is our review on this CGM. Diabetes is sweeping across the globe, but just in America alone there are more than 25 million women, men and children who have diabetes. Diabetes is the type of disease that never goes away and while we can all help being a Type 2 diabetic through diet and exercise, it is always there. Those who have Type 1 diabetes must test quite a bit throughout the day and are forced to use insulin to keep themselves regular. For those who can’t test regularly or have an outdated monitor that just isn’t proving to show regular test results, many times diabetic complications become the issue. However, it doesn’t have to be an issue. In fact, diabetes medicine and technology is advancing all the time and new monitors are popping up to help diabetics to not only test regular but to have their test results sent directly over to their doctor. If you think it’s time for a new monitor, you should really think about the new Freestyle Navigator CGM, but only if you need continuous glucose readings. The Freestyle Navigator CGM is a continuous glucose monitor that allows for continuous testing on diabetic patients who have advanced Type 1 diabetes and need to send their doctor their test results quite regularly. The sensor is placed on the body such as on the back of your upper arm or on your abdomen and uses a special adhesive to help keep it securely attached to your skin. Because this is a special adhesive you don’t have to worry about skin irritation. The transmitter is attached to the sensor and it sends glucose readings to the receiver that can be up to 10-feet away. The receiver is like a small computer. It can store a particular amount of glucose readings for up to 60 days and it also help doctors to see exactly what your blood glucose levels are doing and how it is affecting your health. Diabetes can be a harsh part of life but testing doesn’t have to be. If you have type 1 diabetes and believe that your current continuous glucose monitor is just not cutting it, you should talk to your doctor about the Freestyle Navigator CGM, it could be very helpful. This entry was posted in CGM on July 30, 2011 by admin.